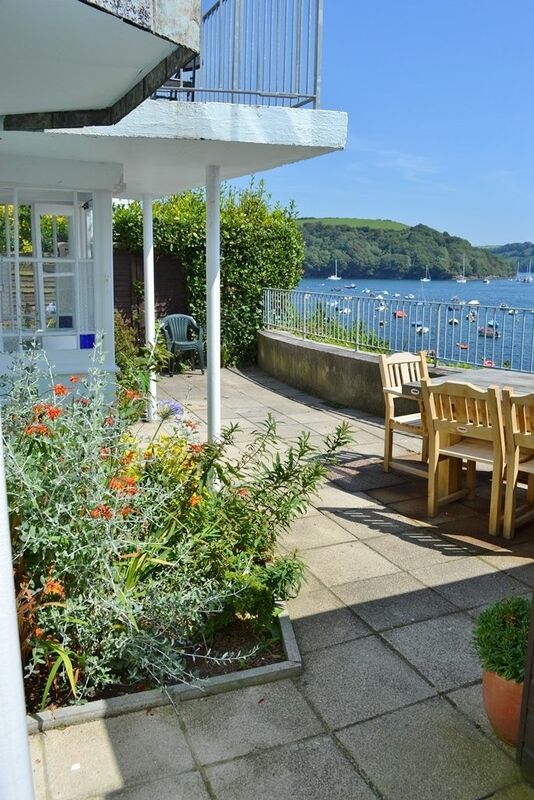 Cannis is a delightful, spacious three bedroom water fronting Grade II listed house on Fowey's premier residential road. 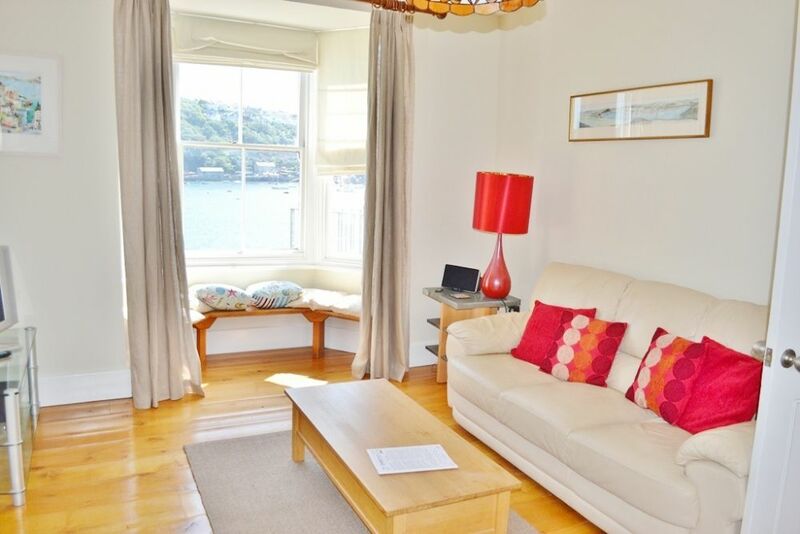 The property has outstanding river and sea views from every room, the balcony and the courtyard garden. There is a garaged parking space approximately a ten minute walk away. Equipment: Central heating. Induction hob. Electric oven. Fridge. Freezer. Microwave oven. Washer/dryer. Dishwasher. Bean to Cup coffee machine. Freeview TV's x 2. iPod doc. WiFi. 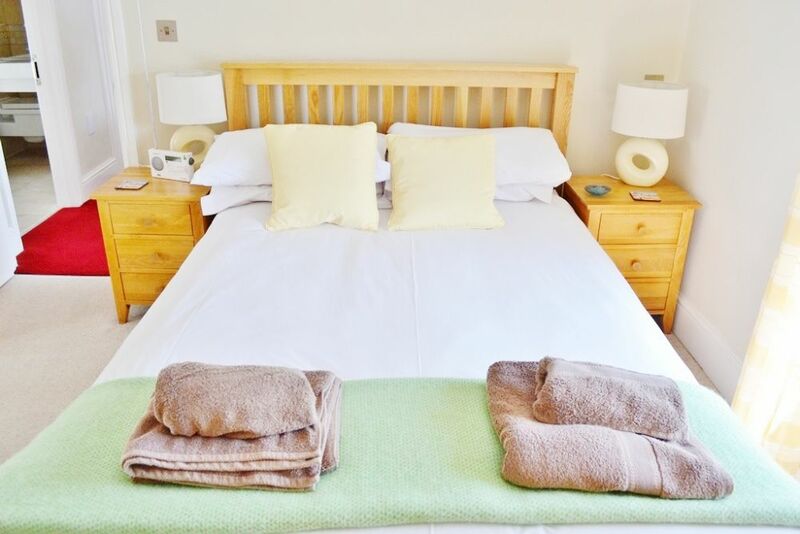 Egyptian Cotton 200 thread count Bed linen & towels included. Jacuzzi Bath. Electricity & heating included. A mobile phone is provided for guests use. Unlimited Broadband. Allocated garaged parking space. From the road the front door opens into the hallway with doors leading to 2 sitting rooms and stairs up to the bedrooms and down to the kitchen, dining room and access to the courtyard garden. 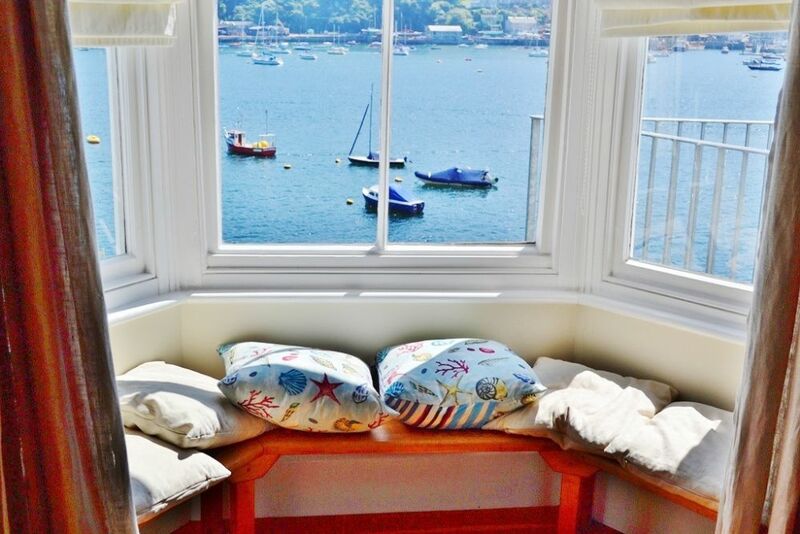 Both sitting rooms have dual aspect windows and both have fabulous views of the river, across to Polruan and out to sea. 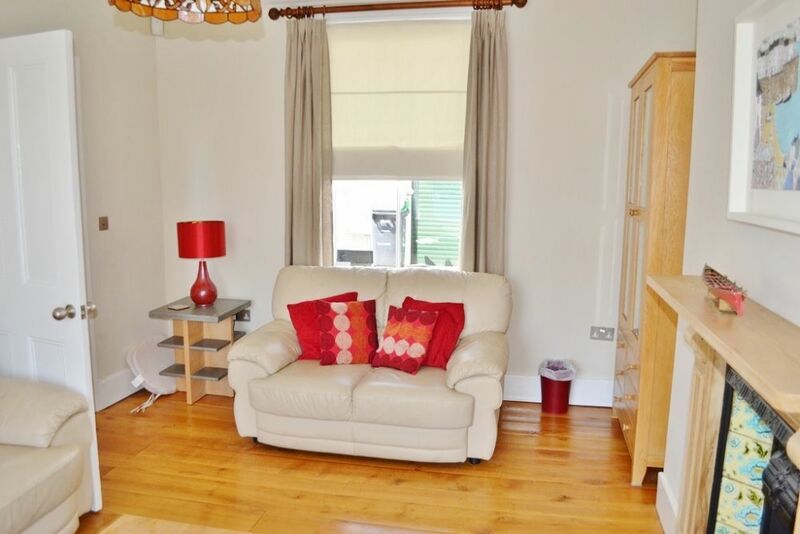 They are both tastefully furnished, one with a three seater leather sofa, TV with Freeview and DVD, the other with a two seater sofa and chairs. Stairs lead up to the first floor with 2 bedrooms. 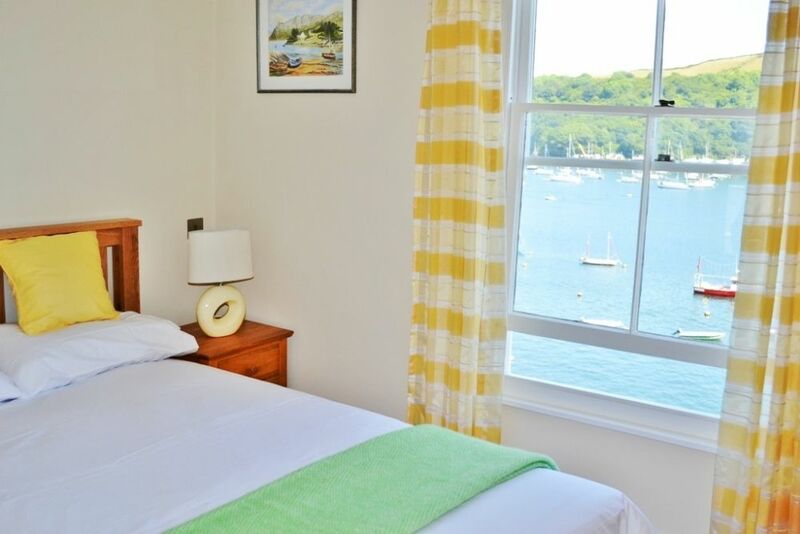 Bedroom 1 is a spacious double bedded room with dual aspect windows with lovely views of the river and on the other side of the landing is Bedroom 2 which also has a double bed, dual aspect windows, the same river views. 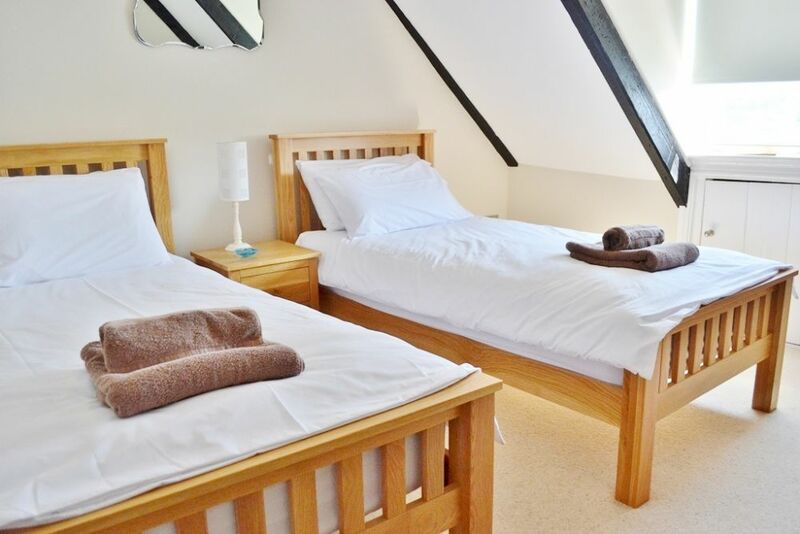 Between these two rooms is a separate bathroom with walk in shower, washbasin and WC. 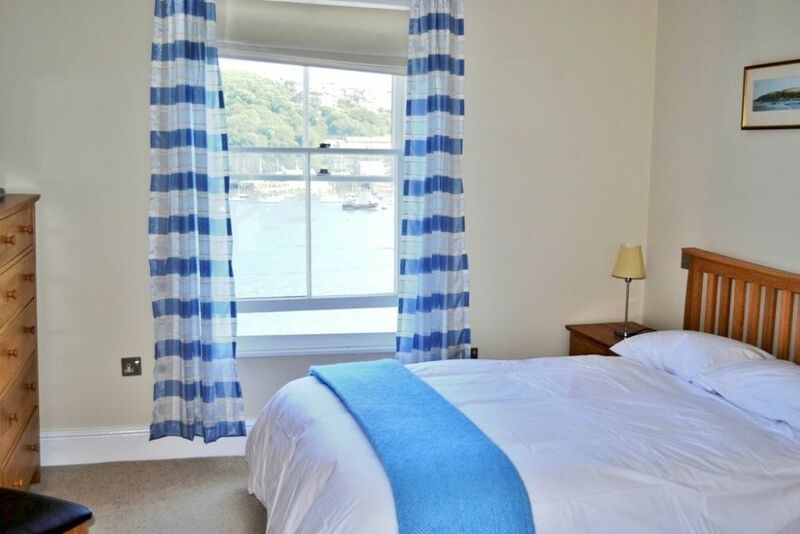 On the top floor of the house is the Master Bedroom with twin beds and river views. 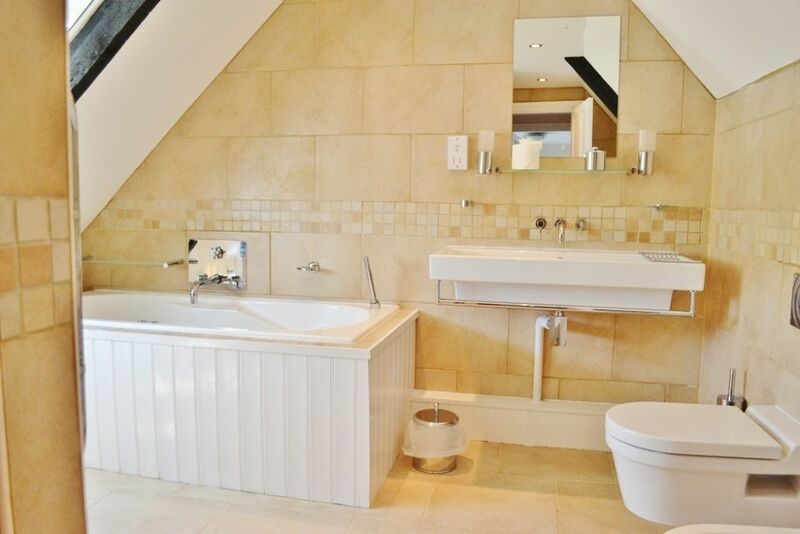 Also on this floor is the family bathroom with large Jacuzzi bath, separate shower, washbasin, WC and bidet (and views of the river!). 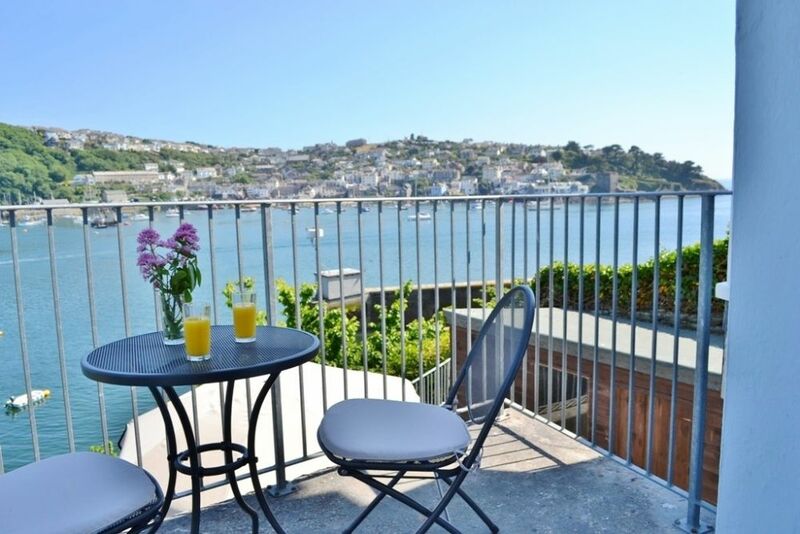 From the ground floor stairs lead down to a small landing which gives access to a lovely balcony, furnished with table and chairs giving a delightful spot to sit and enjoy the afternoon sun. 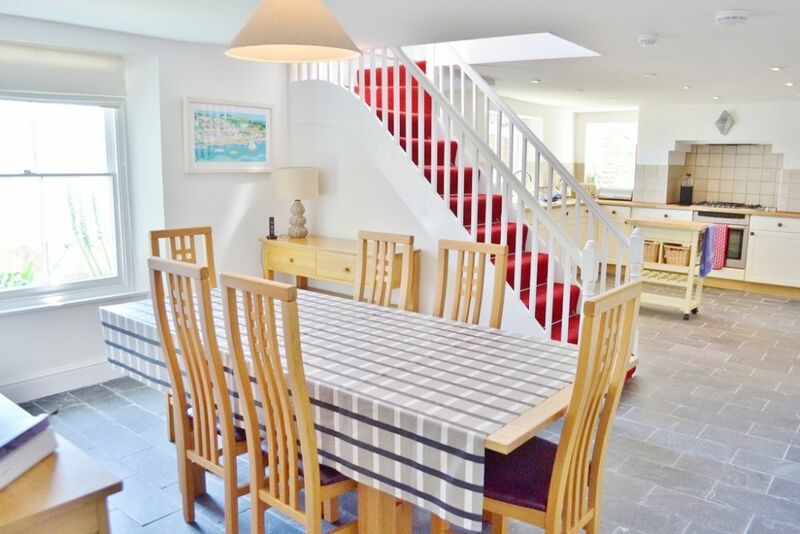 Further down leads into the large modern kitchen and dining room with double doors opening out onto the courtyard garden. 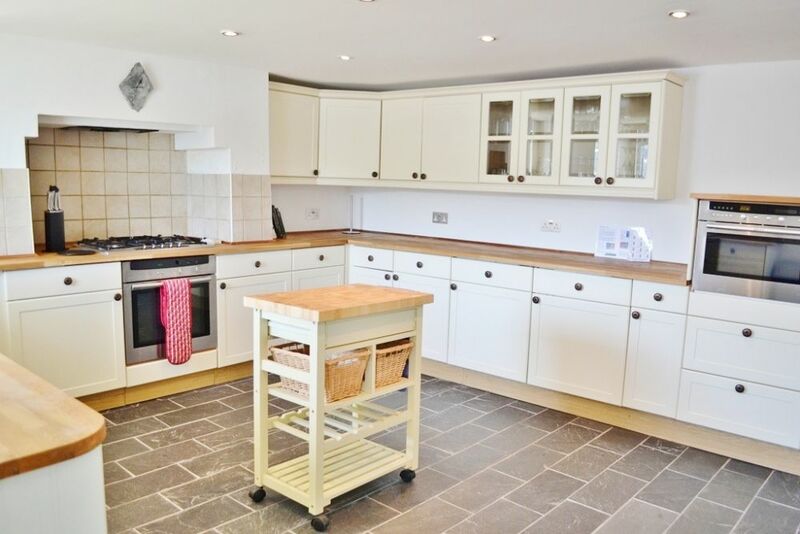 The large, spacious kitchen is well fitted with modern units and includes a gas hob and electric oven, fridge, freezer, microwave/oven, washer/dryer, dishwasher, integral coffee maker and has a good selection of crockery, cutlery, utensils and cookware. 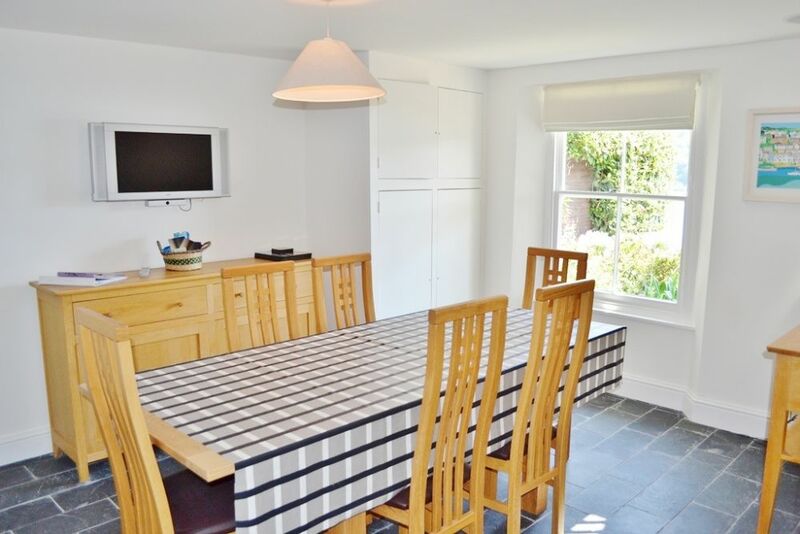 The dining area is tastefully furnished and includes a large dining table and matching chairs and wall mounted TV. 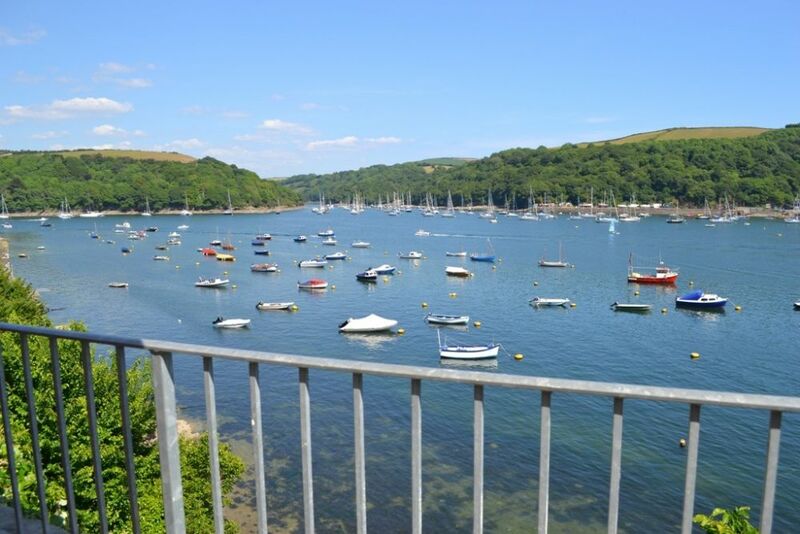 Outside the amazing waterfronting courtyard garden has stunning views up and down the river, across to Polruan and out to sea. 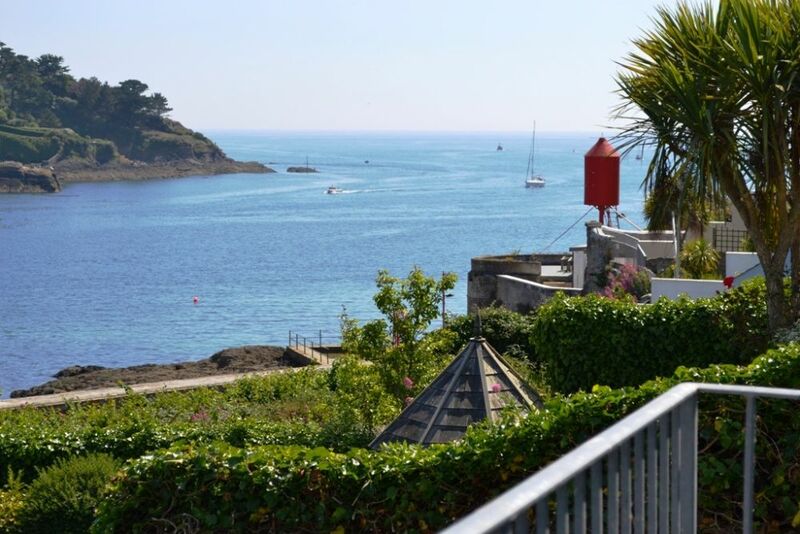 This is a fabulous place for ‘alfresco' dining, to sit with a glass of wine on a warm summers evening or to drink your morning tea and plan your day ahead in Fowey. There is also a shed for storage and has the benefit of an extra WC and washbasin. 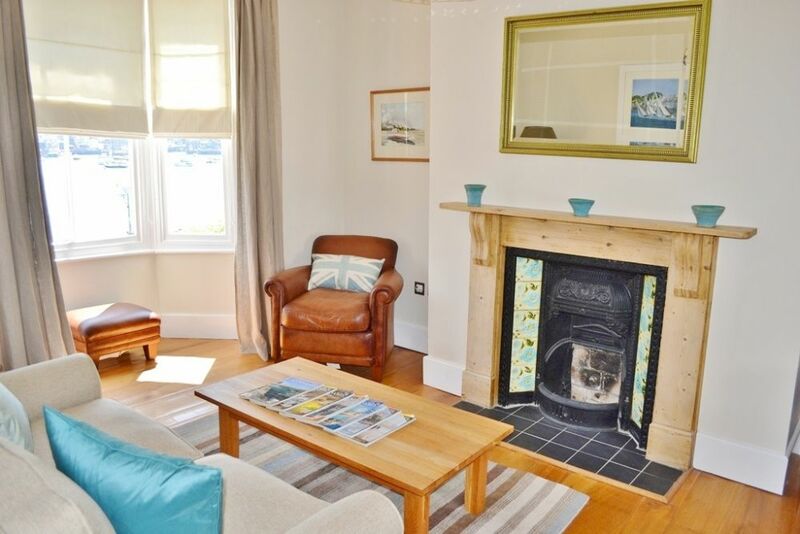 The property is centrally heated, has 2 Freeview TV's and an iPod docking station. 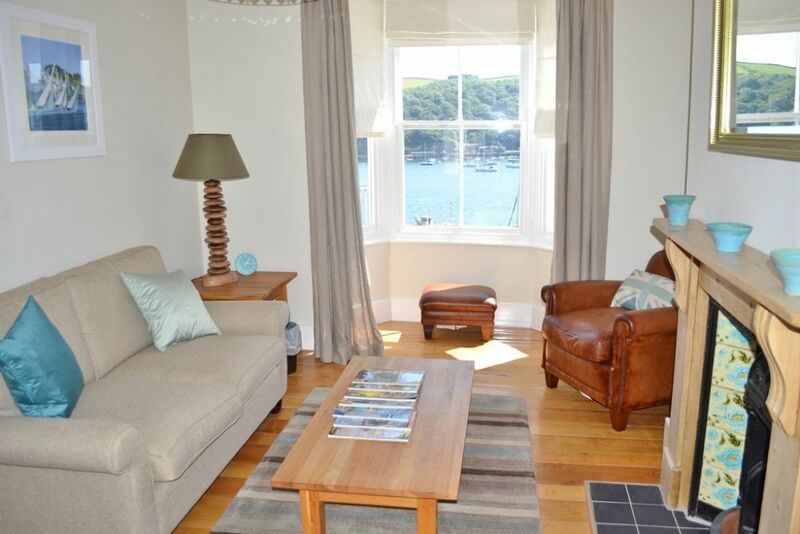 There is a ‘Welcome Pack' included, free unlimited broadband and local telephone calls. Due to the close proximity of the river, this property may not be suitable for children under the age of 8 years old. All children must be supervised on the patio and balcony areas at all times. There is garaged parking approximately a 10 minute walk away. This property may not be suitable for the elderly or disabled.